#MeToo, the two little words we all read for days on social media. Those who were previously nervous to disclose became empowered, the oblivious became educated and the perpetrators became the ones shut out rather than the victims. That is the way it should be. I remember spending my evening scrolling through twitter and realizing I wasn’t the only one that had ever been in a situation that wasn’t OK and it made me feel like society was really making progress. That it was finally realizing the magnitude of sexual abuse and domestic violence. All too often, the two go hand in hand. 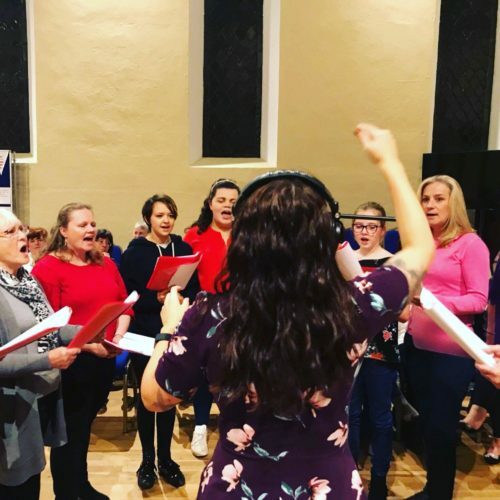 At the same time #MeToo became a phenomenon I was busy recording, rehearsing and promoting an original single with the choir I’m part of in the UK. 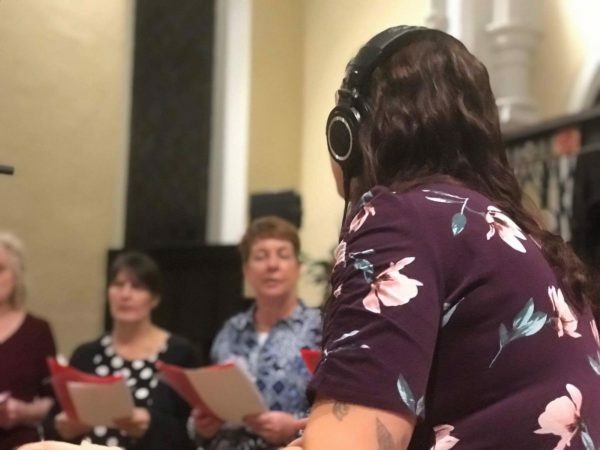 Written by Charlotte Mendly, the choir founder and musical director, and recorded by Brinsley Community Choir, the song ‘Angels’ embodies everything the choir is about. Empowering each other as women and supporting local causes around us. 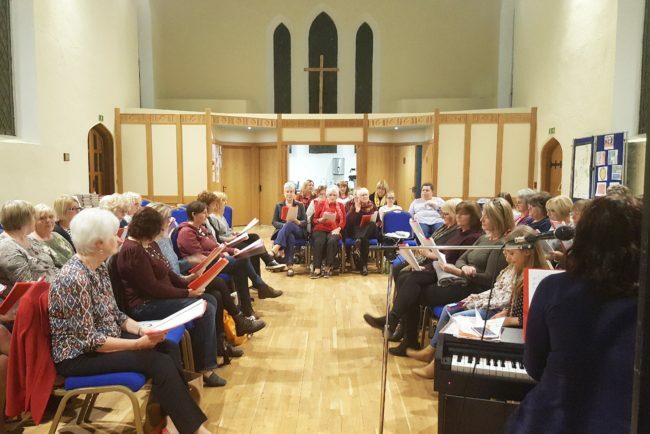 All money raised from the sale of the single will be donated to Broxtowe Women’s Project, a domestic violence support service active in the area the choir members live. As a group of around 60 women our love of music brought us together but it’s our love and support for each other that keeps us strong and passionate. Supporting local causes is at the heart of what we do, and for every woman that has ever been in a situation of fear, shame, confusion or anger because of domestic violence we want to support and empower those affected in our local area in the same way we support each other. If we can help just one vulnerable woman through the funds raised then we’ve done a good job. When I first thought about how scary the words “me too” were for a lot of people, it made me realize I was one of those people that didn’t want to admit it. I think it’s sometimes in our nature to move on and hide it. But it shouldn’t be a taboo, it’s OK to admit having been in an abusive relationship, to have been put in a position you weren’t comfortable with. The shame isn’t ours to carry. It did start to make me think about how women could support and empower each other even more going forward. This shouldn’t be a one time thing. Instead, this should open the door to topics like domestic violence and abuse being talked about more. We should be empowering each other, and although we are a small group compared to the rest of the world, we’ve already found a way to do that – through music. I’ve been a member of Brinsley Community Choir for nearly two years now, and in that time I’ve grown and changed so much as a person. It’s been a year since I walked away from a toxic relationship and it was the empowerment and support from my friends at Choir each week that helped me rebuild my confidence. For me, that’s the magic of music. It can bring people together and bond them in a way that makes a real difference. The lyrics of the song are reflective, about having the capability to do more and about opening those doors that should never be closed in the first place. I think we can all agree that there is so much more our society can do to empower and support women, especially given the revelations about how widespread problems like abuse and violence still are. This is our way of supporting the women in our community, and change happens when each of us are committed to helping those around us. The single ‘Angels’ was released on Friday 24th November worldwide and the YouTube video can be seen below. For every woman that feels confident in disclosing their experience, there will be another that isn’t quite there yet and the beauty of what Broxtowe Women’s Project does means they can get the help and support they need to feel safe and supported. This single is by women for women and it’d mean a lot to each one of us to raise as much as possible. You can download the single ‘Angels’ by Brinsley Community Choir on iTunes, Spotify and Amazon Music. 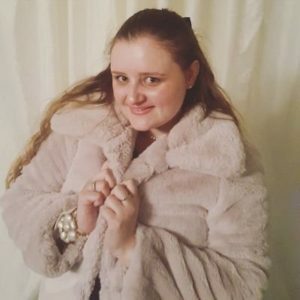 Fay Turner-Paxton is a blogger, student, charity ambassador and choir singer passionate about using her experiences to make a positive difference. She spends her spare time writing or volunteering and hopes to one day empower others through her charity work and writing. 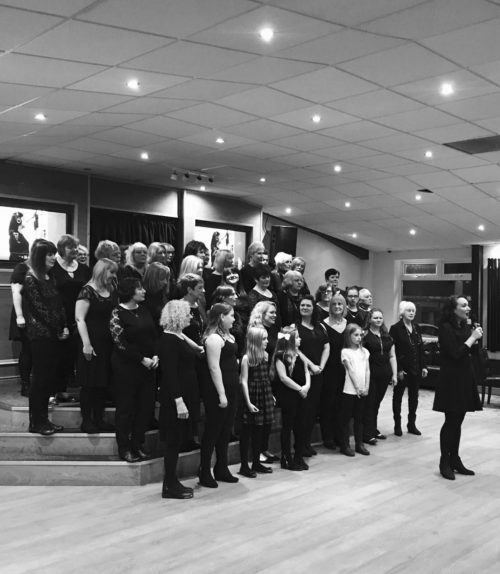 Follow the Brinsley Community Choir on Twitter, Instagram and Facebook.